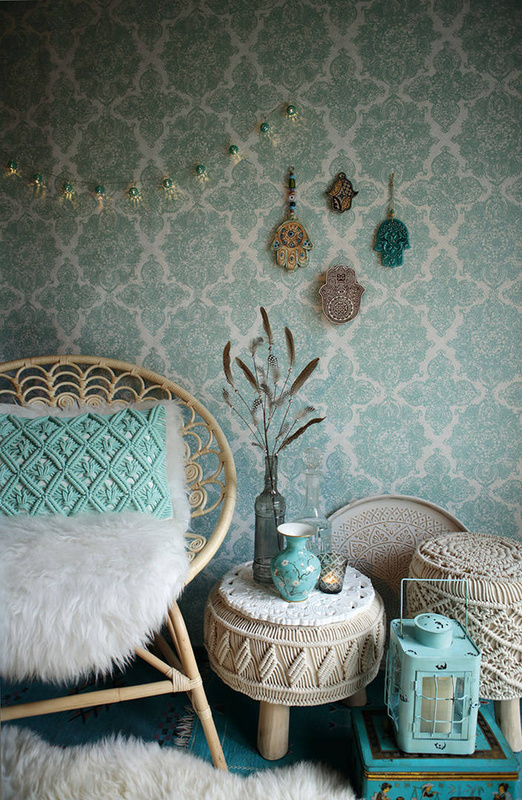 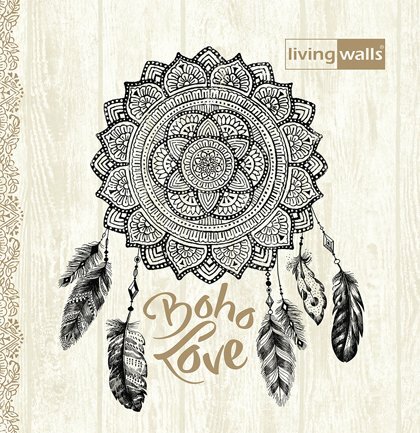 Be free, let your soul sing, full of vim and vigour, and re-discover the beauty of the world: “Boho Love” has the perfect wall furnishings for that authentic gypsy feeling. 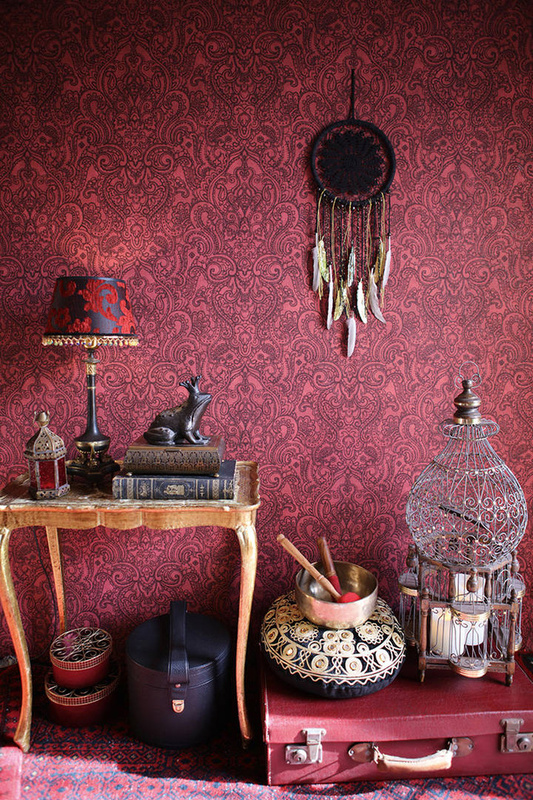 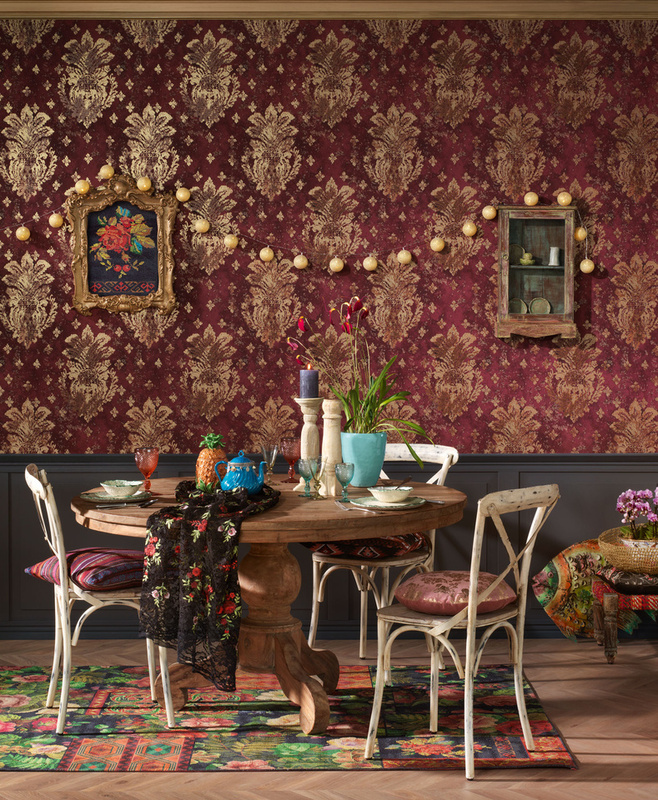 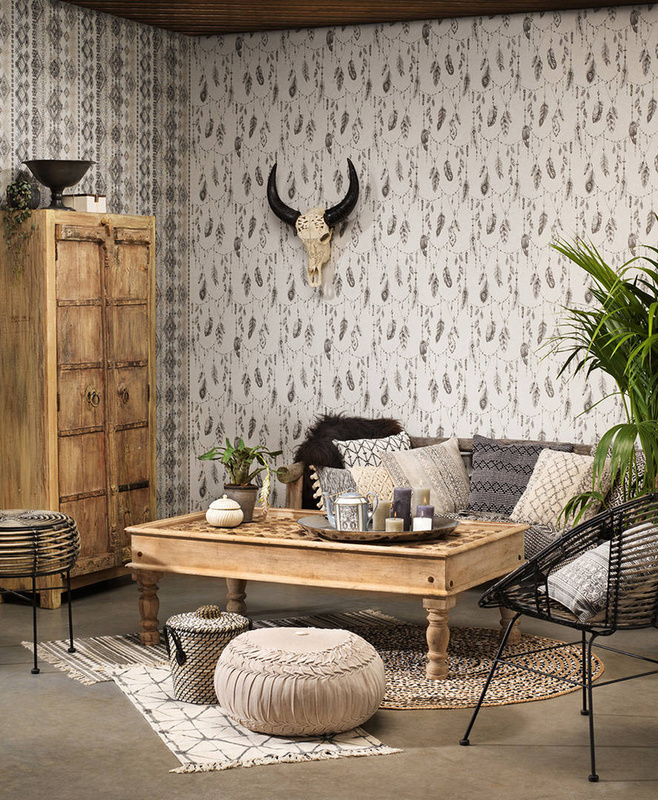 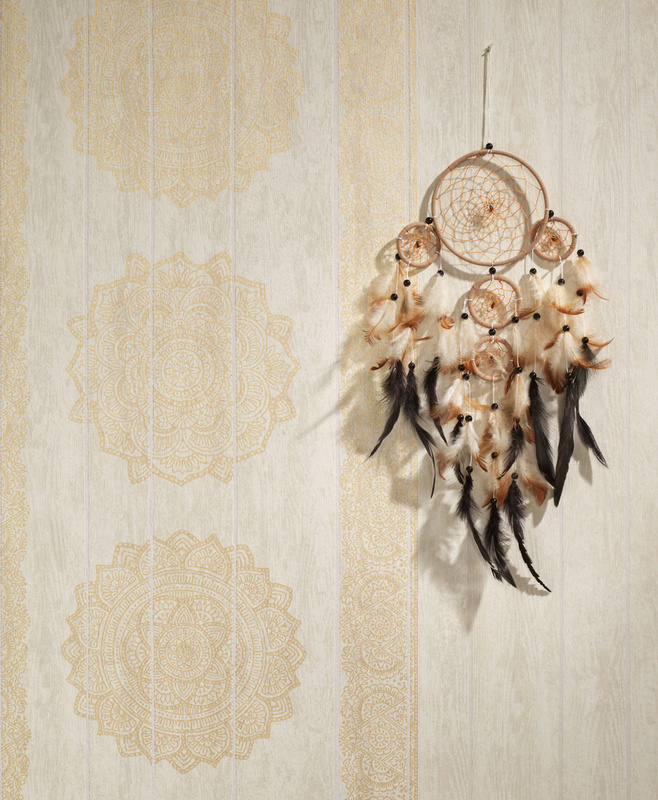 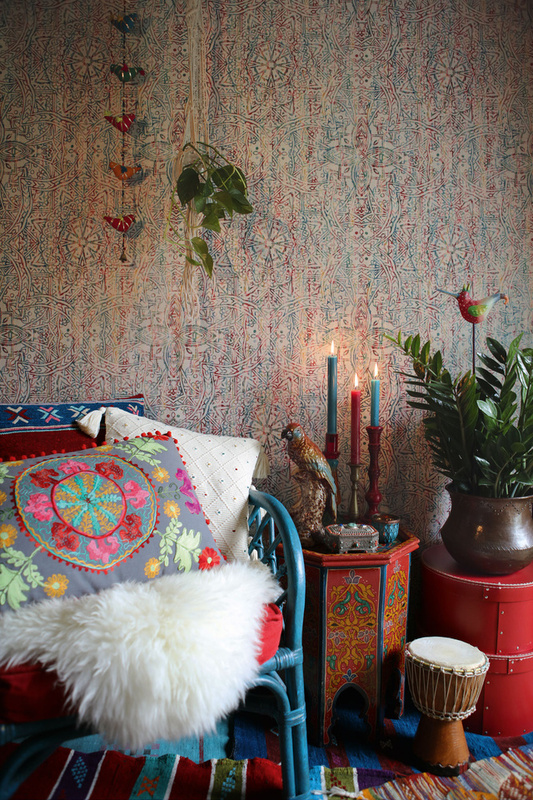 Finely chiselled Indian and Persian designs, Indian dreamcatcher décors and Louis XVI blossoms rendered in vintage style revive the hippie chic of the seventies and form an atmospheric background for imaginative boho interiors. 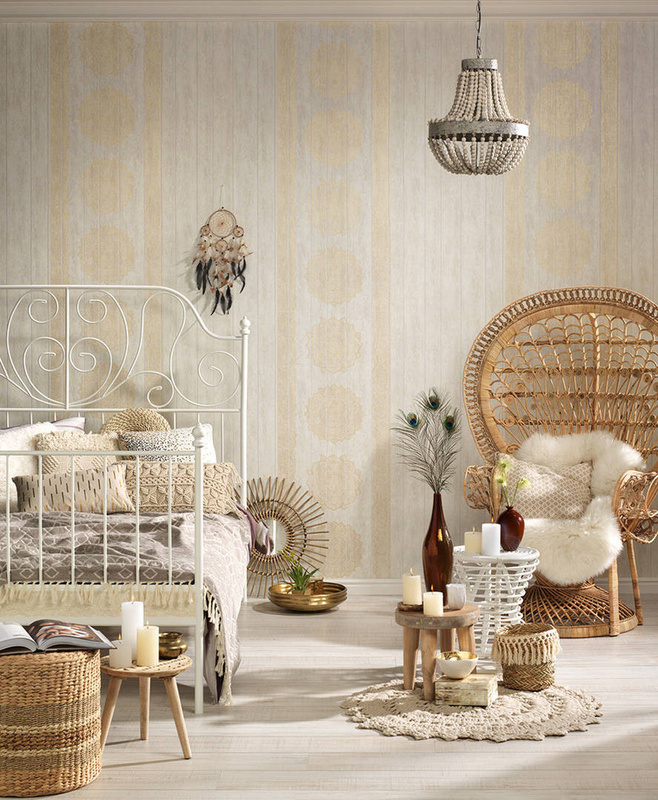 Beige, grey, rusty red, brown and turquoise tones with fine metallic and glitter effects conjure up an atmosphere that emphasises the uniqueness of every person and makes rooms sparkle with the joy of life.